We have often enjoyed the places that 4-wheel drive vehicles can take us. We realized recently that we have owned 8 different 4x4s. Our current expedition vehicle is a 1987 Mercedes Benz 435 U1300L chassis with a custom composite sandwich habitat module. When we got our truck, it had a custom built living habitat module designed and built for the previous owner. Our original plan was to completely change the floor plan and re-work the interior. After we got the truck, we realized that although the box didn’t have the layout we wanted, it was actually pretty nice inside. Instead of gutting a perfectly good habitat box, we sold the box that came with the truck, and we designed a new habitat box that met our specific needs. 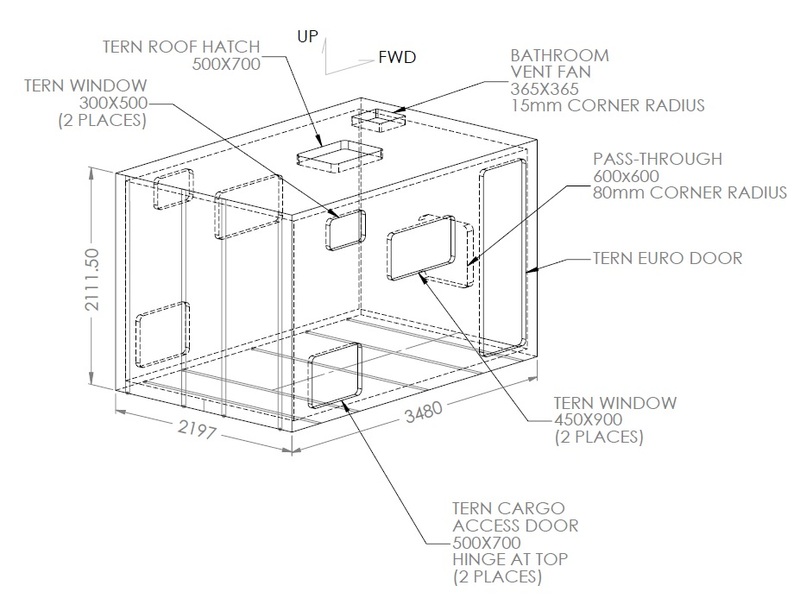 The new habitat box is sourced from Total Composites. This page will be continuously evolving as we get to know our truck and perform maintenance and upgrades. For the time being, we are just going to write down helpful things that other people might find useful. Walls are 50mm thick composite sandwich panel.